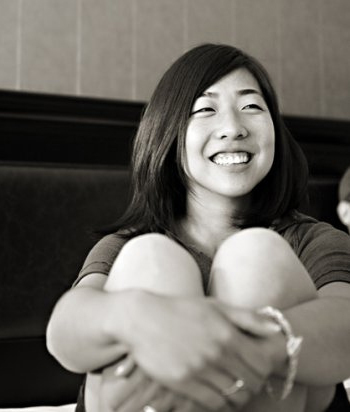 Jaemey Bush grew up on Lake Michigan tap water, which is from Lake Michigan and treated in Wilmette. 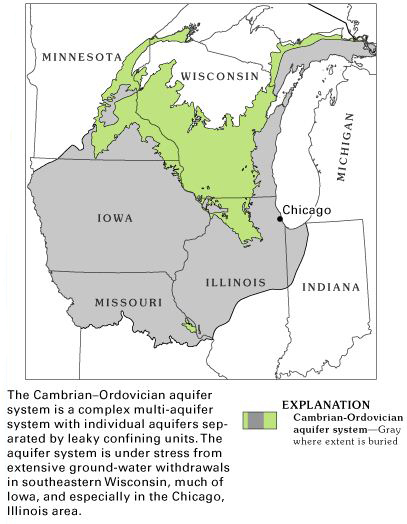 The Cambrian-Ordovician Aquifer is tapped for water in Northwest Illinois and surrounding states. The Jardine Water Purification Plant is responsible for treating much of the tap water serving Chicagoans and area suburbs. Under sink plumbing. 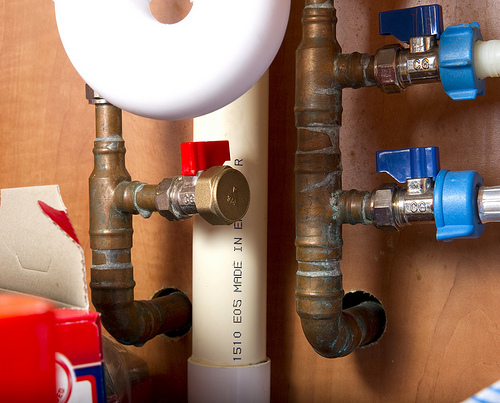 Pipes that deliver tap water can be plastic, copper, iron and in some cases, lead. The European palate prefers water with a more mineral taste than the American palate. Why does Chicago tap water have a distinct smell? Suburbs don’t have it. It’s tempting to dispense with Jaemy’s question with a quick “It’s in the eye (or the nose) of the beholder,” but we won’t go there — at least not yet. Yes, Jaemey says she first noticed Chicago’s tap water smell when she was pregnant and, yes, water nausea during pregnancy is common enough. But her question’s still a good one, because a satisfying answer can draw on subjectivity as well as hard science and engineering principles. Earthbound water drinkers sometimes force astronauts to drink recycled urine, but most tap water comes from two main sources: surface water and groundwater. The surface stuff’s drawn from lakes, streams and rivers. Since Chicago’s situated on Lake Michigan (maybe one of Earth’s finest sources of drinking water, in our humble opinion), it’s no surprise the city sips surface water. Some local governments buy water from Chicago, while others draw directly from the lake. Other places tap local rivers (e.g., the Fox River). But the water that gushes out of many local taps is sourced from below ground. The northwest suburbs, for example, draw from the Cambrian-Ordovician Aquifer, which, like other aquifers, holds water in permeable rock formations. Sourcing is not necessarily an “either/or” scenario, however; some southwestern and western suburbs (as well as cities such as Aurora) blend water from rivers (surface water) and aquifers (groundwater). Why go into this? 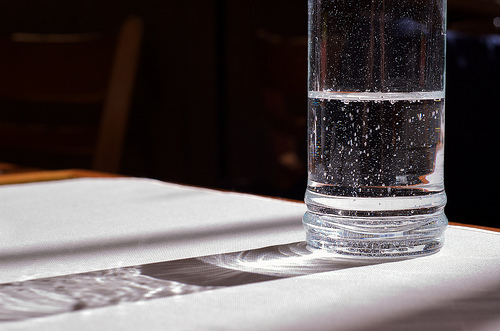 Well, tap water’s source is a huge predictor of taste, at least according to Virginia Tech Professor of Civil and Environmental Engineering Andrea Dietrich. If I’ve gotten you in the mood to swish some tap water in your mouth right now, here’s a profile of all the stuff that can be found in freshwater. • Microbial contaminants such as viruses and bacteria, which may come from sewage treatment plants, septic systems, agricultural livestock operations and wildlife. • Inorganic contaminants such as salts and metals, which can result from urban stormwater runoff, industrial or domestic wastewater discharges, oil and gas production, mining or farming. • Pesticides and herbicides including synthetic and volatile organic chemicals, which are byproducts of industrial processes and petroleum production. Gas stations, urban storm water runoff and septic systems can contribute these, too. • Radioactive contaminants, which may be naturally occurring or be the result of oil and gas production and mining activities. These bullet points are from Lake Zurich’s 2012 Water Report. Similar language is found in water reports from every municipality, thanks to federal and state laws. Most of these contaminants can affect taste, but you may ask: “Don’t we treat water?” If it’s from a municipal supply, yes. But treatments differ and all the filtering and chemical tinkering changes taste, too. The U.S. Environmental Protection Agency (USEPA) sets what’s considered safe and legal when it comes to levels of contaminants. That doesn’t mean there’s no salt or metal swimming around in your drinking glass, for example; the EPA limits how prevalent they can be. In other words, the agency doesn’t say what’s clean so much as it declares what’s clean enough. That means there’s always a little stuff left behind from treatment, and that’s got potential to make water taste either fantastic or funky. And treatment itself is a big driver, too. American Water Works Association Public Affairs Manager Deirdre Mueller says just consider the case of her own city — Denver. “If you’re at the top of the watershed like myself,” she says, “ ... My water comes straight from the mountains. We don’t need to do as much treatment to our water.” The longer water has to travel, she says, the more a community has to treat it before it touches residents’ lips. Treatment either removes flavorful contaminants (algae) or adds new ones (chemicals). Dietrich says one of the most common complaints about treated water is the chlorine flavor. She says she finds that flavor comforting though, since it’s a sign the water has been treated. 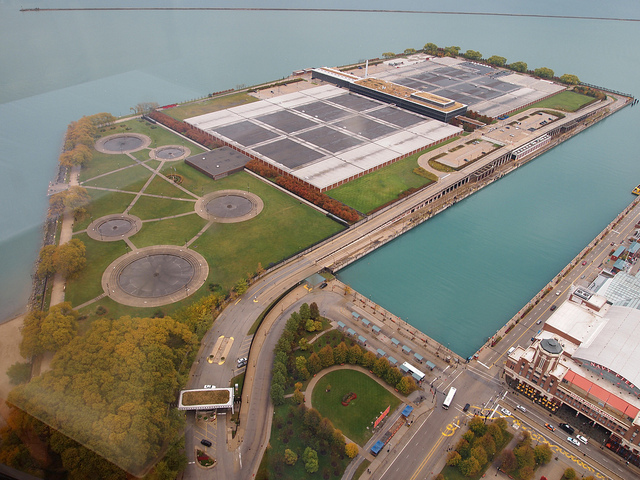 Chicago’s tap water source is practically on the city’s doorstep, but the water’s journey from lake to drinking glass includes treatment at one of two water treatment facilities, the main one being the Jardine Water Purification plant. The processes are complex. Andrea Putz, a water research specialist with the Chicago Department of Water Management, says city residents taste a combination of the lake’s properties and the treatment process. She says the lake is naturally “hard” water, meaning it contains lots of minerals such as calcium and magnesium. But she says another aspect of the Lake’s water is that it “has taste- and odor-causing compounds caused by seasonal algae growth.” Putz says the algae can make the water taste or smell fishy, and that this flavor is most common in the spring and fall during algal blooms and die-offs. Mueller says water that’s been sitting in copper, iron or lead pipes for a long time can contribute to a “stale” flavor. What’s more it can be hazardous when lead is concerned. To help avoid exposure to harmful metals, Mueller says, the AWWA and the USEPA recommend flushing your faucet for a minute whenever you haven’t used it in more than six hours. They also recommend that you drink and cook with cold water. For Jaemy’s sake I promised not to get into the subjective element too quickly, but now the time’s come to meld the science of water quality with our experience of the stuff. She stated a strong preference for water from her hometown, Glenview. She’s picked up on a distinction and — paired with a preference — that’s an opportunity for competition, an impulse that’s played out in the water utility industry for years. Dietrich has taken part competitive tap water tastings and can describe their methodology. She says the water should be served in glass (as plastic and other materials can affect the water’s taste) and at room temperature. Judges, she says, should agree on a rating scale and lay out what language they’ll use to describe what they’re tasting. Lastly, it’s ideal, she says, to cleanse the palate in between tastings. Unsalted crackers are up to the job. The AWWA’s own national water-tasting contest is open only to water utilities (no bottled water allowed!). Competitors must first take regional prizes before they’re eligible for the “Best of the Best” tap water smackdown. In 2005 and 2006 the Champaign District’s Illinois American Water nabbed that honor, but no other Illinois competitor has won since. If this seems as fun to you as it was for us, download this handy water tasting guide that our intern Logan made (based on this tasting guide from Terrific Science) and hydrate ‘til you’re silly. Despite the many factors outlined above that can contribute to the odor and flavor of tap water, there’s another crucial variable that can change everything: you. Not only do the enzymes in your mouth, the strength of your sense of smell, and the sensitivity of your tongue play a role in how water tastes to you, but so does your brain. If that is indeed the case, then one answer to Jaemey’s question may simply be: Chicago’s water smells and tastes funny because you grew up with Glenview’s water ... and all the stuff in that water made quite an impression. Alexander Jerri conducted many of the interviews used for this report.